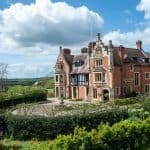 A UK weekend away is a great way to take a break without travelling too far from home. If you take a trip across the water and visit one of Britain’s islands then it sort of feels like you’ve gone overseas anyway. 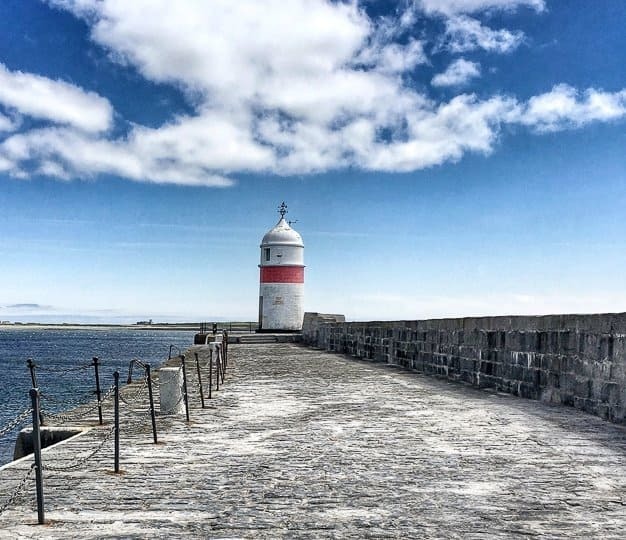 My first Isle of Man weekend getaway this month showed me that this little island in the Irish Sea is the perfect destination for a UK break – and it’s not just for TT motorbike petrol heads. The Isle of Man, Mann, or Manx as it is also known, lies in the Irish Sea about 80 miles north-west of Liverpool. It’s tiny – just 52km long and 22km at its widest point which means it’s easy to explore in a weekend. Snaefell, meaning ‘snow mountain’ in Norse, is the highest point on the island at 620 metres. An old saying goes that you can see six kingdoms from the summit; Mann, England, Scotland, Ireland, Wales and Heaven. 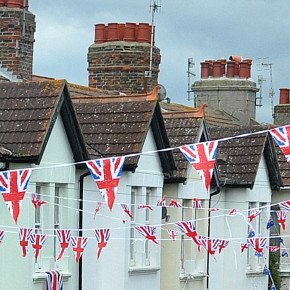 Although it’s part of the British Isles Manx is a self-governing kingdom that belongs to neither the UK or the EU. The Queen is head of State. The Isle is probably most famous for hosting the TT (tourist trophy) motorcycle races and, before my visit, that was the extent of my Manx knowledge. When­­­ I set foot on the island I found a rugged beauty and a vibrantly green land dotted with ancient castles, towers and stone circles. Here’s why you should spend a weekend on this tiny isle. 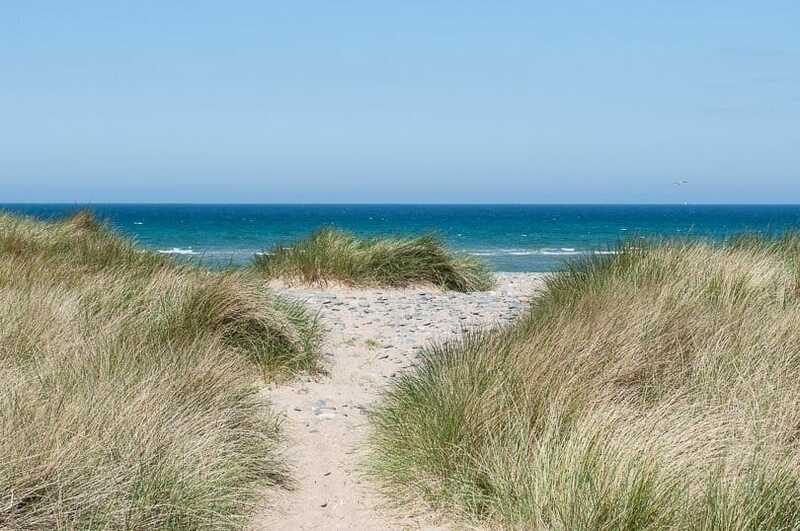 If you’re fond of sand dunes and salty air you’ll love the Isle of Man. 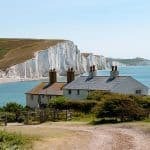 There are 95 miles of gorgeous coastline which range from craggy cliffs and rugged scenery to wide beaches with swathes of soft white sand, grass edged sand dunes and pebbled coves. You’ll get your blasting of salty air on one of the many coastal walks. The island’s beaches vary in character. 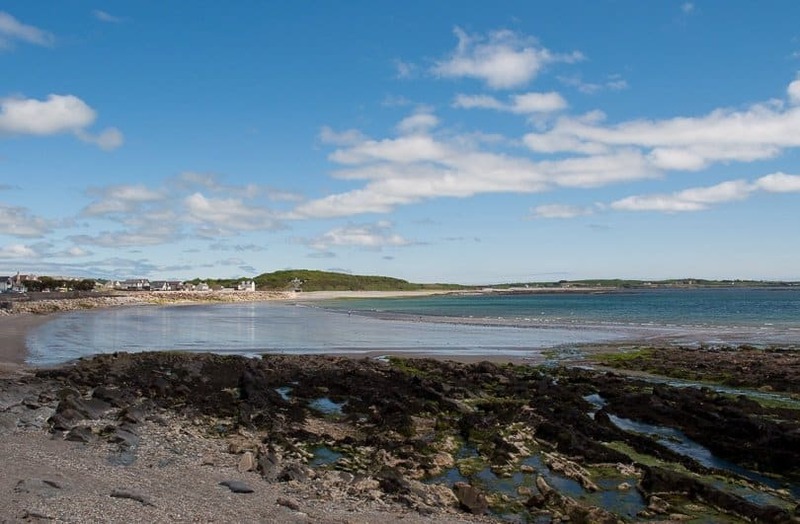 Douglas Bay and Kirk Michael are both wide sandy beaches. Kirk Michael and Peel beaches are great spots to watch a glowing sunset. There are two beaches in Peel both sheltered by hills and Fenella, a small sandy beach, is towered over by the imposing Peel Castle. Horseshoe shaped Castletown Bay (below) is sandy and good for wind-surfing and sailing. 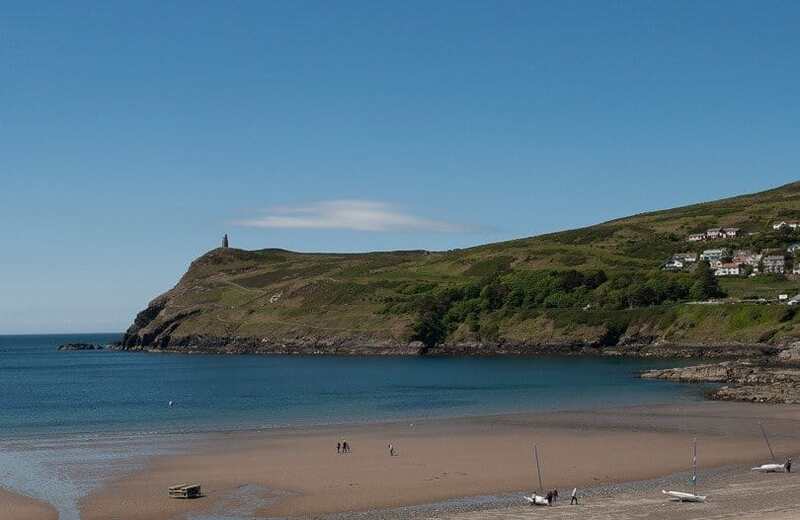 Port Erin in the south of the island (below) is lined with Victorian houses and has a wide sandy bay with rocky inlets and a lighthouse on the sand. It’s bordered by a 400ft high headland and you can hike up Bradda Head to Milner Tower. There are lots more beaches on the island but I’ll leave you to discover them for yourself. 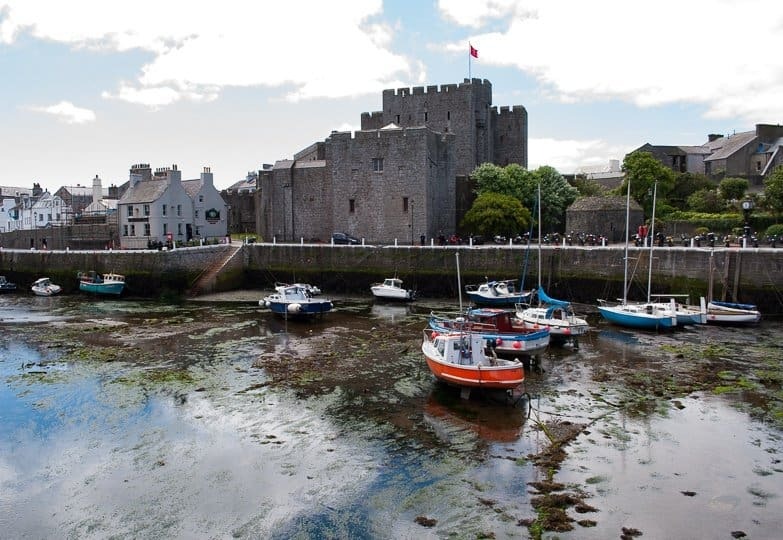 Castletown is one of the oldest towns in the British Isles and the former capital of Mann. 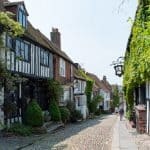 The cobbled harbour is lined with fisherman’s cottages and you can walk out on the arm to the town’s two lighthouses and there’s a nice little pub with a garden overlooking the harbour. I’d recommend pootling around the town for an hour or two, exploring the castle and the harbourside. 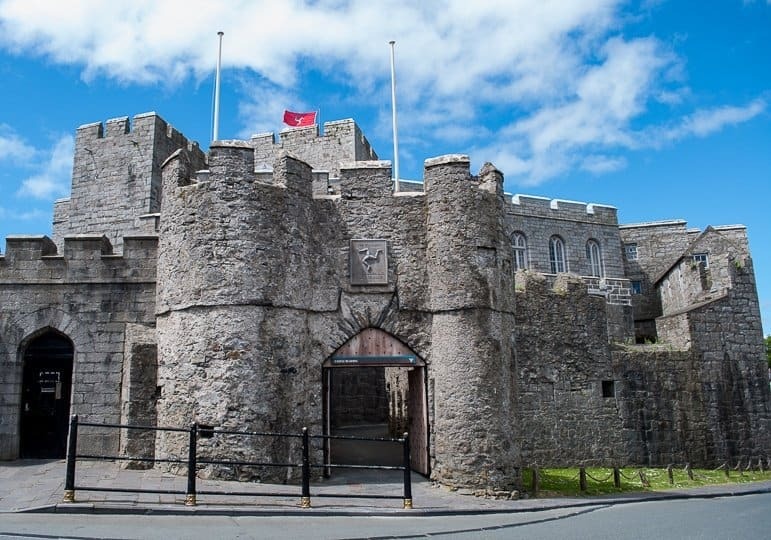 The highlight is Rushen Castle built from limestone in 1265 and is one of the world’s best-preserved fortresses. Head up to the ramparts for epic views across the town and coastline. If you’ve got kids they’ll love exploring the dungeons. 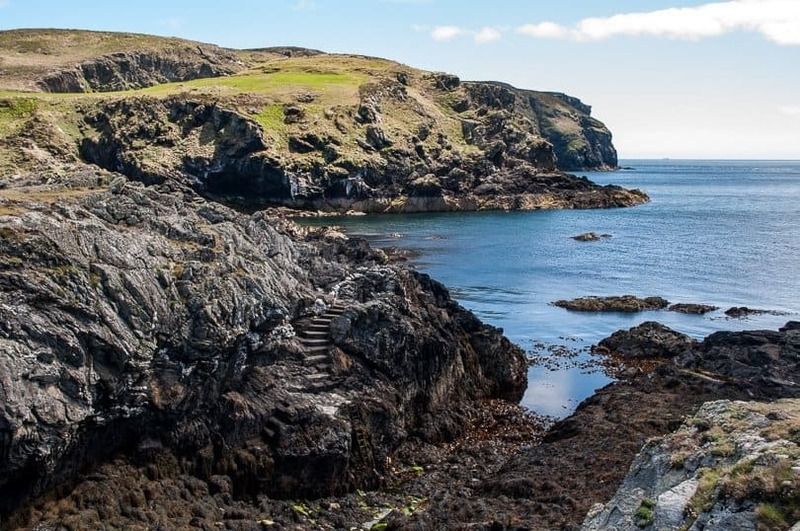 Basking sharks, dolphins and seals can be spotted around the southern shores of the island and the Calf of Man. The Point of Ayre, the northernmost tip of the island, is home to Ayres National Nature Reserve. 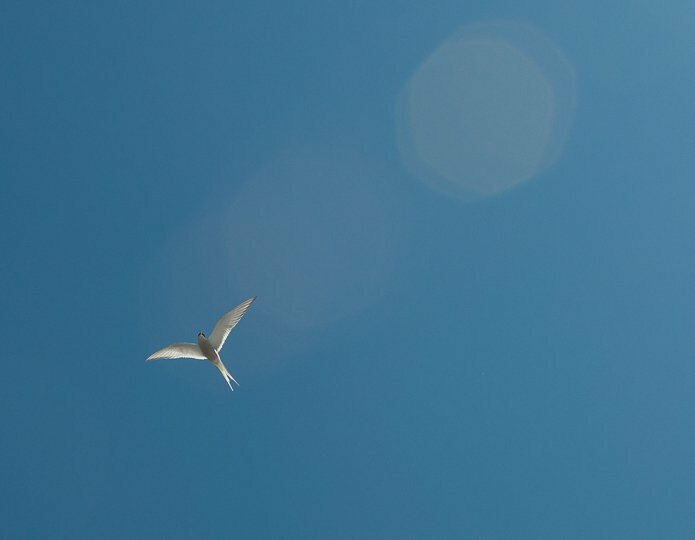 Many ground nesting birds, Oystercatchers, Arctic Terns and other declining rare breeds nest on the upper beach. Areas are cordoned off during nesting season but there are parts of the beach which are still accessible for a walk in the dunes as long as you’re not disturbing any nesting birds. Hares are common and we spotted at least six bounding through the fields. Wild wallabies can be seen in the Curragh in the north of the island. There are around 100 in all who originate from a pair that escaped from a wildlife park in the 1970s. I just love a lighthouse, maybe it’s because I’ve always lived by the sea or perhaps because they’re so photogenic. On Mann I was in my element because there are seven lighthouses around the island. The Point of Ayre lighthouse, which was first lit back in 1818, is the oldest working lighthouse on the island. I liked his little brother, ‘winkie’ (above) which is no longer in use – don’t you think it would make a fabulous holiday rental? The pair of lighthouses in Castletown on each side of the harbour are pretty photogenic too. A glen is a long deep valley often with a stream running through it and sometimes ending on a small beach or cove. The Isle of Man has 17 national glens and a few more besides. 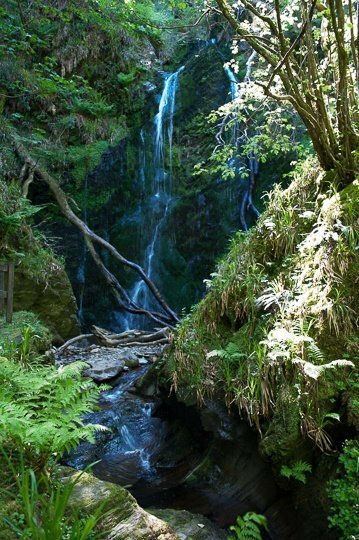 We visited the enchanting Dhoon Glen which is home to the highest waterfall on the island. We hiked down leafy woodland paths, under little stone bridges, past the remains of old mills and down steep little steps following alongside the water-course. I’m sure there were fairies hiding in there. The entrance to the glen is next to Dhoon Glen station on the electric railway so you could travel there by train or there’s a small car park opposite the station if you’re driving. Take a picnic and have lunch on the little beach at the bottom. 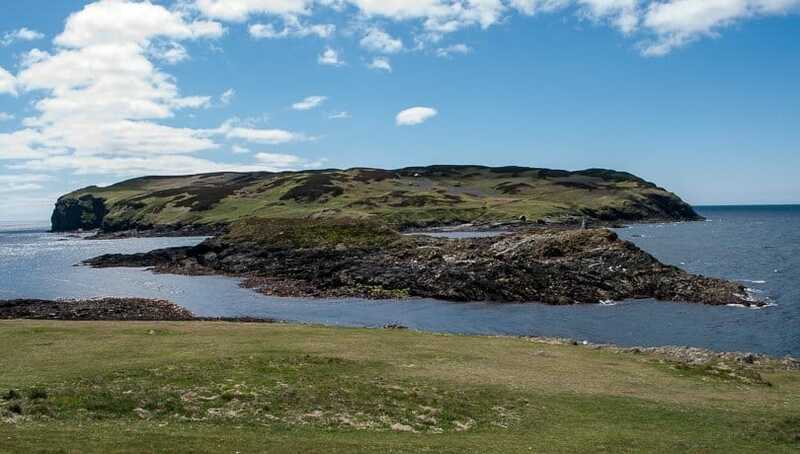 At the most southerly point of the Island you’ll find the Calf of Man which is a tiddly tiny island. The Calf Sound is the channel of water running between the two and has a powerful eddying current. I’m sure it would take you away if you tried to swim the channel. The island is a national bird sanctuary and there are basic facilities for a handful of visitors to stay seasonally on Calf for birdwatching. We were happy just to hike around the headland and take in the stunning views and lungfuls of fresh sea air. We soon worked up an appetite and headed for the new Sound Café for coffee, carrot cake and spectacular views. So, what’s a queenie? Isle of Man queenies are small, deliciously sweet queen scallops and they thrive in the waters around Mann. Manx queenies are sustainably caught meaning the stocks around the island are some of the highest in Europe. They’re absolutely delicious. We enjoyed queenies at 14 North a great little restaurant in Douglas which serves up tasty, locally sourced food. Filbey’s restaurant on the quayside in Peel also serves up excellent food with views of the harbour. If you’re into vintage travel you’ll be in heaven here. The Isle of Man has some of the best heritage railways in the British Isles. I really love a little jaunt on an old steam train and judging by the excitement on people’s faces it seems a vintage journey brings out the inner child in most of us. 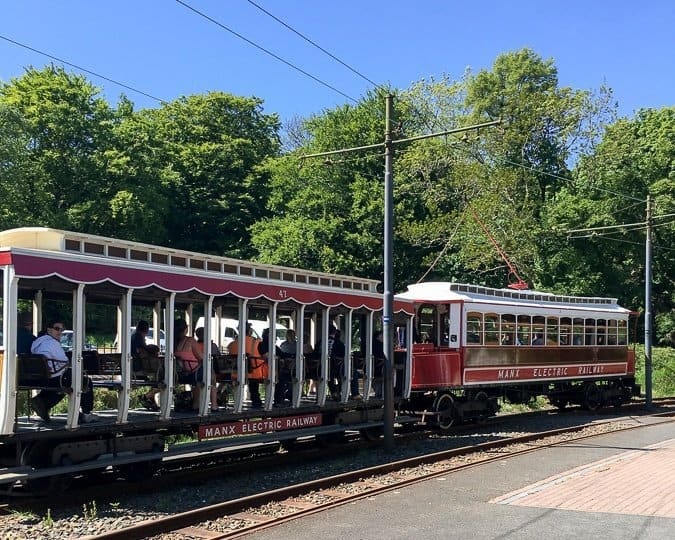 Manx Electric Railway runs from Douglas to Ramsey in the north-east and it’s the longest narrow-gauge vintage railway in the UK running for 17-miles along the gorgeous east coast and through glorious countryside. It still uses much of the original Victorian and Edwardian rolling stock and has been running since 1893. There are dozens of stops along the line including many island highlights. The Isle of Man Steam Railway will take you on a journey of pure nostalgia. The Victorian station at Douglas will get you in the mood for the fifteen-mile journey using original locomotives dating back as far as 1873 on a narrow-gauge 3ft wide track. The route takes you whistling through the countryside to the seaside town of Port Erin where you can drop by the railway museum. But not before you’ve bought an ice cream. The Snaefell Mountain Railway was built in 1895 and its six original tram cars climb the 1-in-12 gradient to the 2036 ft Snaefel summit. On a clear day there are breathtaking views of the island’s largest glacial valley, Sulby reservoir and north to Jurby and the Point of Ayre. Hop on at Laxey Station or from the Bungalow on the TT Course. At the peak pop into the Summit Café for tea and cake to bolster you for the hike back down to the Bungalow. The tram goes to and from the Bungalow to Laxey if you’re not driving. I’d have loved to take the Snaefell mountain railway but every time we tried the road was shut. We were on the island during the TT practice days and people coming to see the race like to ride the track. There are frequent mishaps and the mountain road is closed every time there’s an accident. We tried twice during our two days but each time couldn’t get access to the railway. 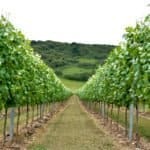 But that’s one good reason for going back to Man and we’ll definitely be returning because there’s so much more to see. The Isle of Man Steam Packet offer sailings from English ports Liverpool and Heysham in the Northwest or from Belfast and Dublin in Ireland. You can also sail from Larne in Northern Ireland during the Isle of Man TT. Sailings are on board the catamaran ‘Manannan’ (2hrs 45mins) for foot passengers or the slower ferry ‘Ben My Chree’ (3.5 hrs) if you want to bring a vehicle. All sailings to the island dock in Douglas at the Isle of Man Sea Terminal. By air there are options from most UK and Irish airports except London Heathrow. The airport is in the south near to Castletown which is around 20 minutes from Douglas by taxi or around half an hour by public transport. 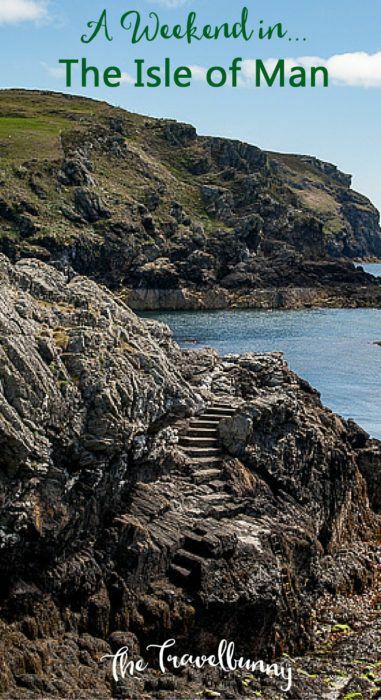 Have you been to the Isle of Man – any more tips to add to these? Where to stay on the Isle of Man. For our Isle of Man weekend getaway we stayed with friends but there are plenty of hotel and guest house options below. I use this site myself and find it very competitive and also like that you can cancel up to 24 hours beforehand. What a cute place! I’m currently researching a trip to Ireland and I did pause when my mouse hovered over the Isle of Man. I didn’t really know much about this place until I read your post. Looks gorgeous. Any chance you could guarantee that weather for me please?! We’ll be going back next year – so much that we didn’t see and do. As for the weather….! 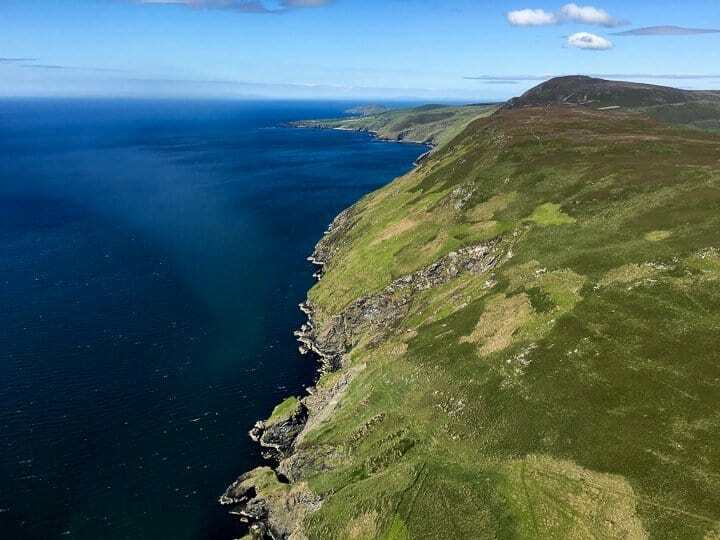 I’ve heard many good things about the Isle of Man – maybe it’s time to add it to the list! Beautiful photos by the way! It’s gorgeous there but it helps to have good weather like we did! You’ve been incredibly lucky with the weather. It always pours when I go there. If there is a wet day, I can recommend the marvellous Museum in Douglas or shopping at St John’s. On a sunny day you can explore the beach at Port St Mary and find hundreds of tiny bright yellow and orange shells. Thanks for the tips Liz – great to know what to do on a rainy day if I’m not so lucky with the weather next time! 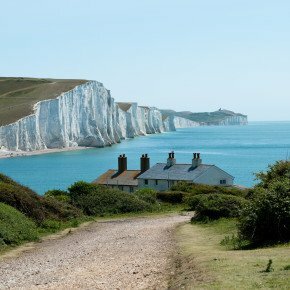 I was thinking about a little UK mini break over summer and we’ve never been here so definitely somewhere to consider. Looks like a lovely place and that coastline is just gorgeous! It’s a perfect UK mini break – so long as you’re lucky with the weather. But us Brits know how to deal with that! Beautiful photos! I love the photos of the coastline, it looks so rugged. It is great that there are so many quick weekend getaways at your fingertips! It reminds me that there are so many places in the UK I still need to explore! I’ve never visited the Isle of Man but it sounds like there is a lot to see – I’d love to taste the queenie scallops! 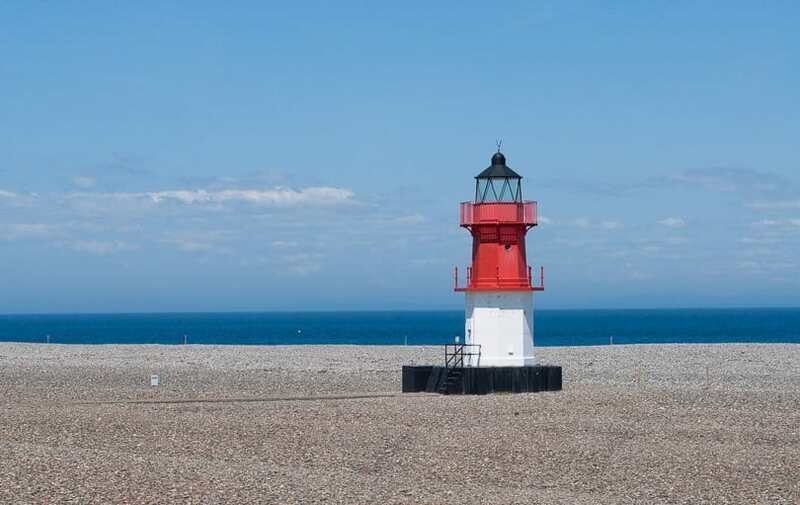 What a beautiful coastline, and I do love a good lighthouse! I think an Isle of Man trip might be on the cards now. There’s something about being on an island that’s instantly relaxing, I think. 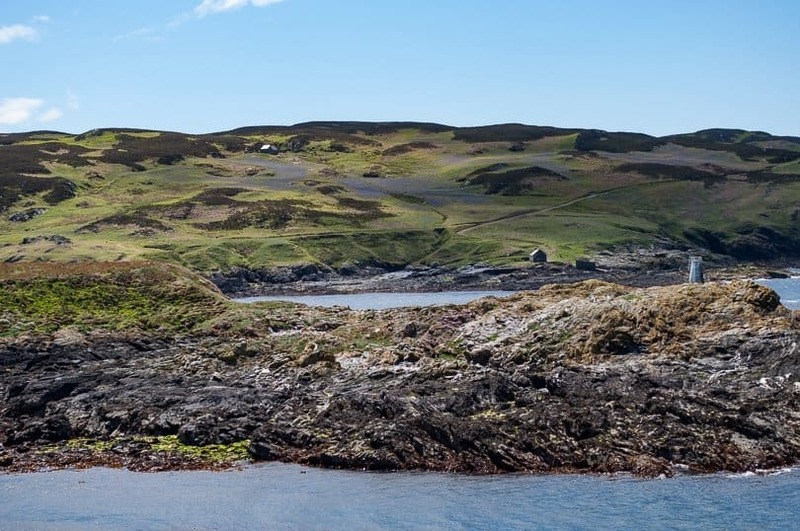 I’be never been to the Isle of Man (more of the UK’s southern islands) but sounds far more to discover here than i’d have expected on a small island! As long as I’m near the coast I’m happy and that was easy on this little isle. We loved exploring – so much to see and so much that we didn’t see. We’ll be going back for sure. I spent 5 days in IOM once with Dad and Michael, and I can confirm that it’s a beautiful island. We were a lot less lucky with the weather though. Thanks Jo, Winkie’s cute 🙂 I really loved the Isle of Man – definitely will be going back but would like to be able to guarantee good weather…. might be tricky!